We cured several mice from epilepsy! A single short-lasting (30-300 ms) optogenetic stimulation of the cerebellum (the small brains) abruptly stopped generalized spike-wave discharges (GSWDs) as occur, e.g., in absence epileptic seizures, even when applied unilaterally. 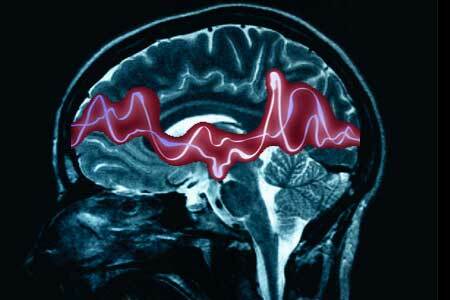 Using a closed-loop system absence seizures were detected and stopped within 500 ms. If you want to read more about the neuroscientific aspects, click here. If you want to read more about the epilepsy detector we developed, click here. We are now working on our next mission: to reliably detect other forms of epileptic seizures and to study cerebellar nuclei further and their potential therapeutic benefit for controlling other types of generalized epilepsies. Exciting times ahead, if you ask me, and not only for mice. This entry was posted in brain-machine interfaces, electronics, general, neurostimulation, understanding the brain. Bookmark the permalink.